To select an existing scheme of work, you can choose the scheme that is closest to your own and make any necessary adjustments to it. Change the scheme name, to personalise it to your class (if desired, you can always keep it as it is). You can do this by clicking on the pencil icon next to the scheme name. Amend the start date, so your class will receive the quizzes in the correct order as they show in the scheme of work. Amend the number of days your students have to complete their quizzes. You can amend any aspects of the scheme that you wish including: shorten or extend the units. You can do this by dragging the horizontal toggle within the unit up or down. 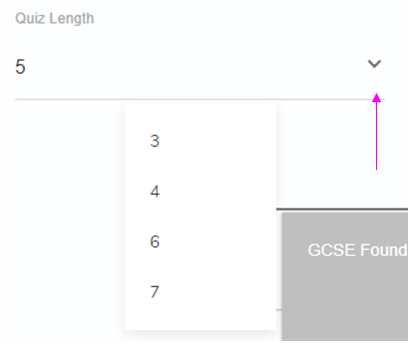 You will then be able to 'insert a topic unit' where there is a space in the scheme - If you shorten the unit. You can also delete any content you don’t need by selecting the bin icon on the right corner of each unit (You will see the icon when you hover over the unit). Additionally, you can change the order of units, by dragging the units up or down so they appear in the order that you teach in school.